Serhant, a well-known personality from the Bravo TV show that premiered in 2012, said he had thought about developing an iPhone game for a while. The game, available for iOS for now and in process for Android, hit the App Store earlier this month through app developers Pinxter Digital. Players download the app and are immediately greeted by a video of the real-life Serhant. 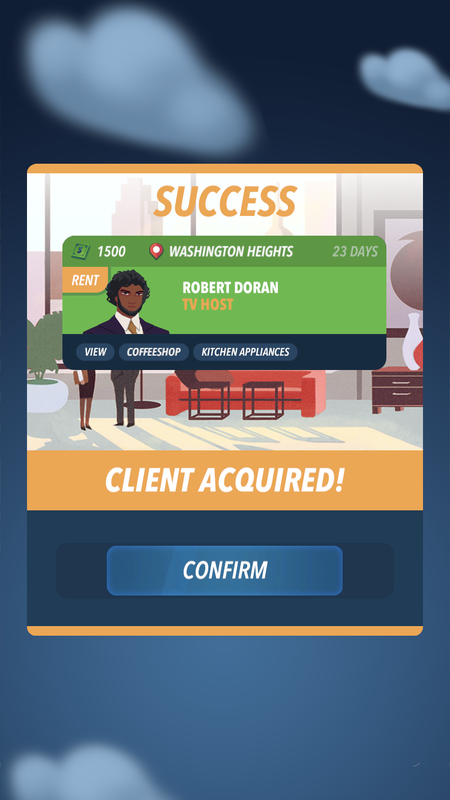 After the short video, Serhant is replaced by an animated version of himself who appears sporadically throughout the game to coach the real estate agent. You start in the app as a total newbie, struggling to secure rental clients. When I started playing, the app placed me in Washington Heights, an area at the very top of Manhattan Island recently dubbed the “new Williamsburg,” a.k.a. hipster central, by The New York Post. 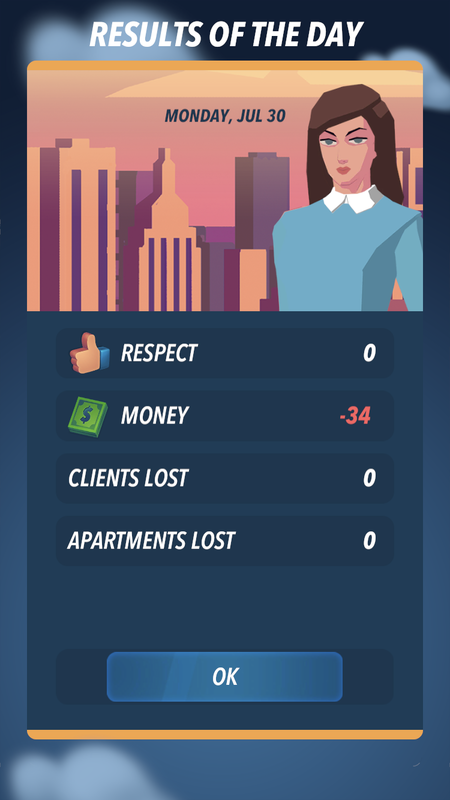 First, I had to create my avatar and visit my broker’s office. 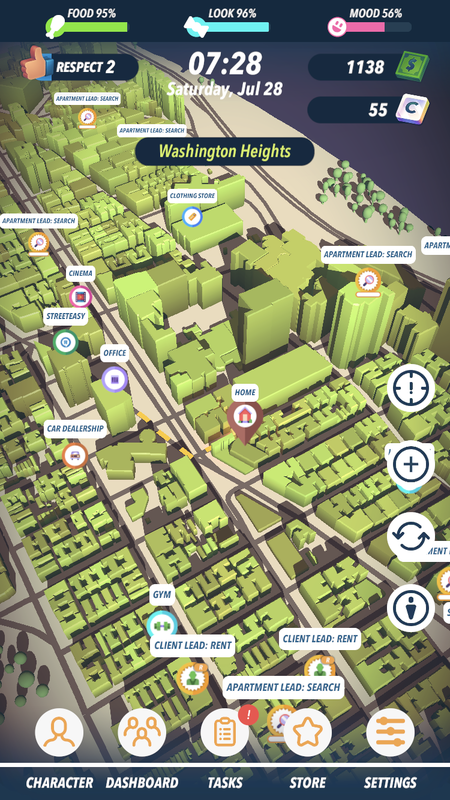 To complete tasks, you look for a destination on the game’s 3-D map of New York and click the destination to go there. 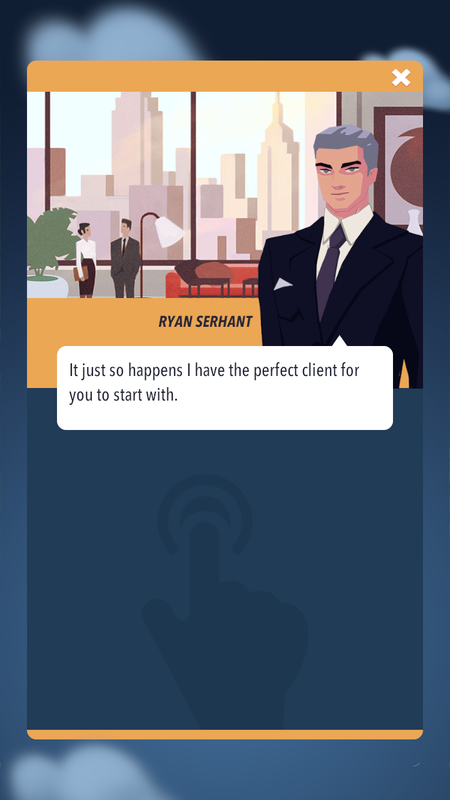 Rather than just finding clients, the app places an emphasis on appearance and reputation. My boss at the broker’s office told me to go buy new clothes and to get a new haircut. You can earn points in the “looks” category by going to the gym (fans of Serhant will recognize this as integral to his experience of being an agent, as he consistently posts selfies from his workouts on Instagram). You also have to monitor your food levels and your mood. When talking to potential clients, you have to choose between “charm,” “pressure” and “bargaining.” Choose wrong, and your client could leave. You also try to secure apartment owners and landlords as clients, navigating “charm,” “respect” and “deadline.” I got rejected by two landlords in a row while playing — one said he “wanted an agent with more experience” and one said he still had to think about the decision. The game isn’t easy. I kept running out of food and ate four lunches in a row to boost my food levels up from zero. Once, the game told me to go see a movie to relax. The game tracks minutes and hours in the day at warp speed so that you can keep track of how much you accomplished in one day of work or a few minutes of playing the game. When you start playing, your brokerage takes 90 percent of your commission. That percentage then decreases as you move up in the game’s five levels. You can also move on from rentals to sales — and from Washington Heights to other New York neighborhoods — but I didn’t make it that far. 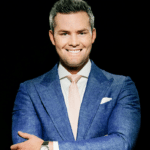 “You try to become a real estate mogul where you have the majority of listings in NYC, making lots of money,” Serhant said. The game had 20,000 downloads in its first three days in the App Store, Serhant said. The game is sponsored by the Zillow-owned NYC property search portal StreetEasy, and includes a StreetEasy office on the game’s map. The eventual goal, Serhant said, is for the fake listings in the game to be replaced by real StreetEasy listings: an immersive form of advertising for the Zillow Group’s New York real estate listings site. According to StreetEasy, that is an eventual possibility but isn’t in the works yet. 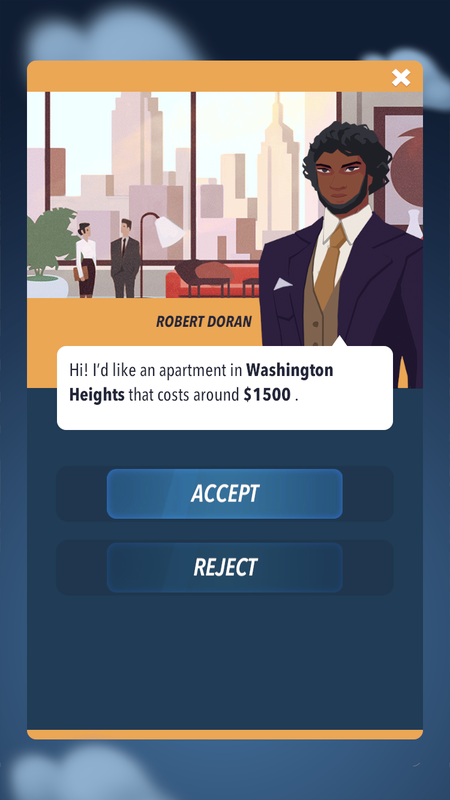 The game is free to download on Apple’s App Store (where it currently has an average rating of 3.9 out of 5 stars) but offers in-app purchases to upgrade your clothes, car, marketing and other elements that help you progress in the game and in your growing real estate business. This version of the game is only set in New York, but Serhant hopes there will be versions in other cities like Los Angeles, Miami, Chicago and San Francisco. Now it’s the center of aspiring agents’ iPhones, too. Survey: What's the key to buying and selling second homes and vacation homes?